States vary on their cell phone and texting safety laws. 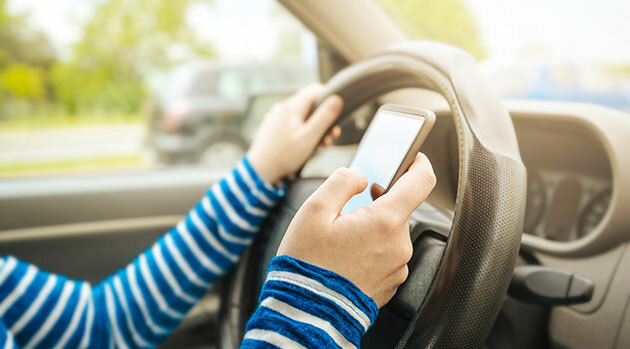 Some states allow drivers to talk on cell phones and text if they’re 18 or older; some don’t allow either activity, no matter the driver’s age. Muddying the waters further, some states ban texting altogether, but allow drivers to talk on cell phones if they use some sort of hands-free device. Checking your state’s safety laws is the only way to know your state’s exact stance on texting and talking on cell phones. Read your state’s vehicle code. This code includes all traffic laws and most states keep an updated copy online. Contact local law enforcement. These are the men and women who write traffic tickets for violating laws on using cell phones for talking and texting while driving, so they’ll know the current regulations. Talk with a DMV representative. Even if the agent doesn’t know the law right off (which, most do), he or she can quickly look it up for you. NOTE: Don’t forget to check the traffic laws related to cell phones and texting in other states. You don’t need to memorize them all, but you do need to know them for any state you drive through for vacation, work, or even errands. Don’t text and drive. Period. If you absolutely have to send or reply to a text message, pull off the road. Only talk on cell phones within your state’s safety laws. For example, if your state requires a hands-free device, get one. Remember that talking on a cell phone while driving is distracting, no matter what your state law says or which kind of device you use. As with texting, it’s safest to just pull off the road. Turn your cell phone off. Some people just can’t deal with the temptation, man. What kinds of experiences have you had with talking and texing on cell phones while driving? What advice or warning would you give others?